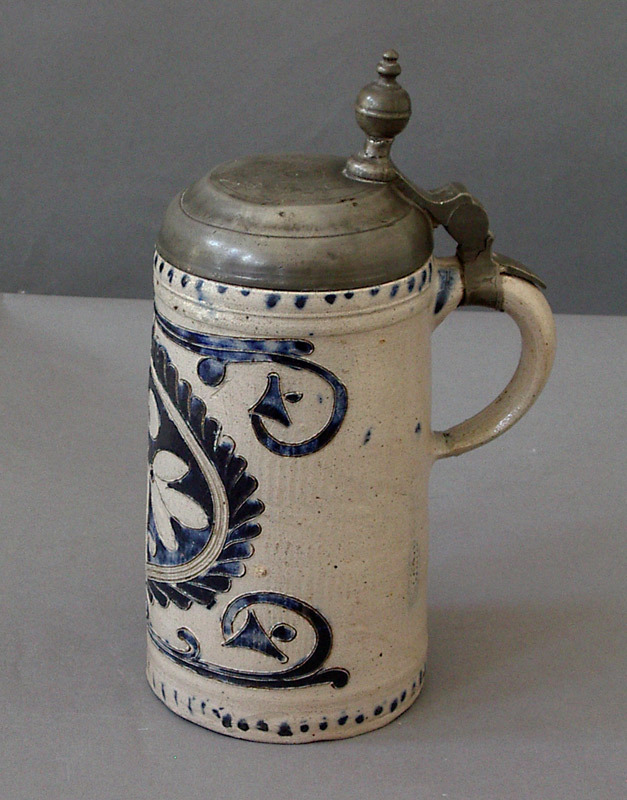 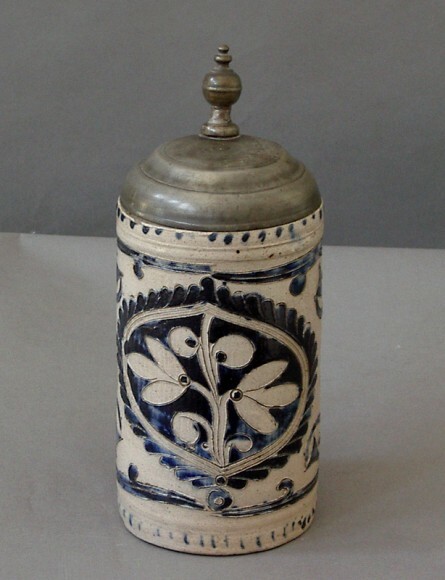 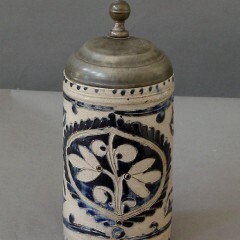 German stoneware tankard decorated with incised cartouche and swags, filled with cobalt glaze. 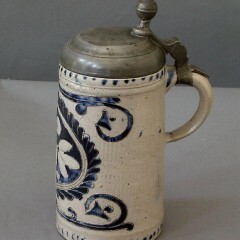 Bottom shows the coil construction. Westerwald, 18th century. Pewter cover with finial-shaped thumb latch.